The 10 Main Street Courthouse in Bergen County, located on the banks of the Hackensack River, is among the busiest court systems in the state of New Jersey. Every year, a whopping 7,000 divorce cases are filed here. No divorce case is simple or uncomplicated, even if there is mutual consent. It’s important to seek advice from an experienced divorce lawyer in Bergen County before approaching the court. Depending on the complexities involved, a case may take as little as two months or as long as two years (or longer) to be settled. The cases filed in Bergen County fall under the jurisdiction of the New Jersey divorce laws. Every State has unique aspects pertaining to divorce laws, and it’s important to have knowledge of these aspects to ensure the case progresses smoothly and the outcome is in your favor. This blog is intended to only provide a brief overview of the Divorce Complaint filing process. Frankly, if you are not a family law attorney, this process is oftentimes complicated by court procedure and requirements. Our attorneys at Ruvolo Law Group are well-versed in filing documents in Family Court. We pre-draft the forms for our clients’ review, explain each form to them, file it with the Court, and serve the necessary paperwork to the other spouse. Even if you don’t plan on retaining an attorney to represent you during the divorce, it would be extremely helpful to consult with a divorce lawyer to understand how to navigate this complicated process. You can use the judicial system of Bergen County only if you’ve been a resident of New Jersey for at least a year. The county where you file for Divorce is usually the county where you or your spouse resides, but it can be dependent on the “grounds” on which you have filed your Complaint. You should speak with your attorney about where you should file your Complaint before doing so. Get all Your Documents Ready: In order to file your Complaint, you should gather certain information and documents that will help you fill out the essential paperwork. You should have your marriage date, social security number, and driver’s license number. If you have children, you should have their birthdates and social security numbers ready as well. You should gather documents relating to our medical insurance, homeowner’s insurance and car insurance. If you have a Prenuptial or Premarital Agreement, you should have that as well. File the Complaint: To file a Complaint for Divorce, you will need to submit several forms with the Family Division at the courthouse. Your attorney can prepare all of these forms for you. If you intend on representing yourself in your divorce, you should visit the Bergen County Courthouse, where a member of the Family Division staff will provide you with the necessary paperwork. However, court staff cannot provide you with legal advice. Only an attorney can. Complaint for Divorce: In the Complaint, you are formally starting the divorce process and setting forth the grounds for divorce. 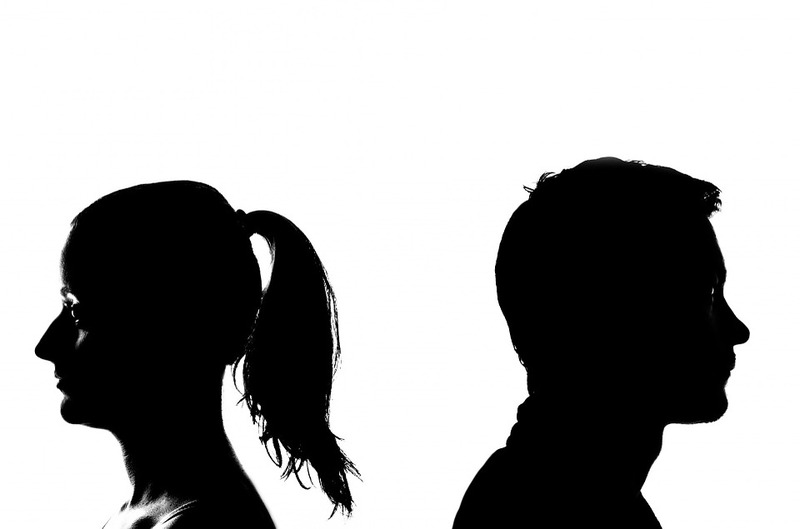 The most common ground for divorce in Bergen County is irreconcilable differences. There are also fault-based grounds for divorce, including but not limited to desertion, extreme cruelty, and adultery. Bear in mind that New Jersey is a no-fault State. As such, the fault of one spouse is only considered in very limited circumstances, which is why most people elect to file under “irreconcilable differences”. In your Complaint, you must also set forth what you are asking for in the divorce, such as alimony, dividing property, the custody of your children, child support, counsel fees, and/or changing your last name. Certification of Verification and Non-Collusion: By signing this statement, you are assuring the court that you are filing your Complaint in good faith, all the statements you made are true, and there is no other action involving your marriage pending in any other court. Certification of Insurance Form: This form lists all the insurance coverages for you, your spouse, and your children. This includes homeowner’s insurance, medical insurance, car insurance and life insurance. Bear in mind, you must maintain this coverage during the divorce process unless the court permits you to do otherwise or unless your spouse formally agrees in writing. Confidential Litigant Information Sheet (CLIS): This form can be found here on the New Jersey Court website. This form gives the court updated personal information to be used to establish, modify, or enforce support orders. This information is also used to update the State computer system and to give the court a way to contact you if necessary. This is a confidential document. It is not a public record and will not be provided to your spouse. Certification of Notification of Complementary Dispute Resolution: The court wants to ensure you are aware that not every case must be a “war of the roses” and litigated at trial. There are other alternatives to resolve your case, such as mediation and arbitration. By signing this document, you are confirming to the court that you have read, “Explanation of Dispute Resolution Alternatives.” If you are representing yourself, you will have to complete and sign this version of the form. If an attorney is representing you, your attorney will draft the appropriate form for your signature. Court Fee and Processing Fee: The fee for filing for divorce in New Jersey is $300. This will need to be submitted at the time of filing. If you have children, you will need to pay an additional $25. Serving your Spouse: After you have received a copy of the Divorce stamped “filed” by the Court, you will need to properly serve your spouse with a “Summons and Proof of Service.” Personal service, such as hand delivery by a process server or sheriff’s officer, is always best. An email or a phone call is not considered proper service by the court. If your spouse has an attorney, that attorney can accept service. If you do not know where your spouse lives, serving him/her is more complicated. If you are represented by an attorney, he/she will ensure your spouse is properly served in accordance with Court Rules and New Jersey laws. Avoid submitting anything to the court or your partner without the document being reviewed by your lawyer. For more information about filing a divorce in Bergen County, New Jersey, office at 973-993-9960 and our experienced divorce lawyers will be happy to assist you every step of the way.